Topdeck are offering up to 15% off their trips across the USA and Canada, but you need to get in quick! Explore North America’s best cities, landscapes and National Parks! Hike in Yosemite, surf in LA, party in Las Vegas… and much more for less with these special offers from Topdeck! 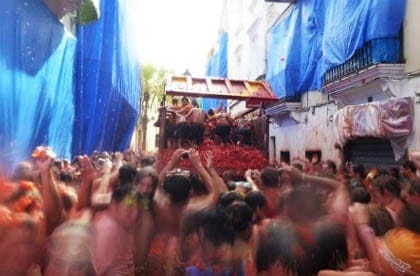 Stoke Travel wants YOU for La Tomatina! At Topdeck our passion is providing unforgettable travel adventures across the globe for 18 to 30-somethings. We offer a range of exciting trips in Europe, Australia & New Zealand, Egypt & the Middle East, North America and Africa. Some roads aren’t meant to be travelled alone! Explore. Enjoy. Share the experience with Topdeck.